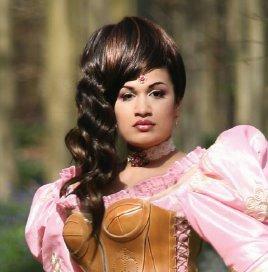 An independent musician, artist and performer based in London, Bishi has a reputation for unique and ambitious work. Described as the doyenne of hybrid music she combines ancient folk, left field pop and Asian instruments with fluency, charm and lyrical melody. The new album ‘Albion Voice’ is a work of vision and musical courage, at the core is a desire to communicate inspirational music with fearless conviction. Recent explorations into online broadcast, immersive projection and interactive technology has seen the project move further into art practice with presentations in galleries and cinemas as often as traditional music venues. New works in ceramics, textiles and handmade couture enable a deeper exploration of the influences and processes involved with the project as a whole. With an established international career Bishi performs and exhibits across Europe, Asia and the US. She was recently announced as ‘The New British Diva’ on the cover of The New York Times. 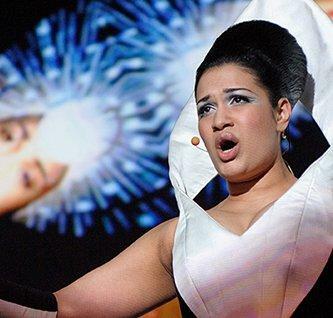 Bishi has won a ‘Global Achievement Award’, judged the prestigious PRSF award and had an entire album performed by the London Symphony Orchestra. As her own label manager she is also a business mentor for Grazia Magazine and an ambassador for The Diana Award (UK charity). Bishi’s approach to live performance is just as daring as the music; exploring online broadcast, interactive technology and immersive projection. The screen can be no smaller than 5m width at a ratio of 16:9. The show is 70 minutes.